Jet-setters have quite a lot to get excited about as Turkey unveils an airport that aims to redefine the way we fly. Known as Istanbul Airport, the air travel megahub rises from the outskirts of Turkey’s biggest city, perched firmly on the shores of the Black Sea. 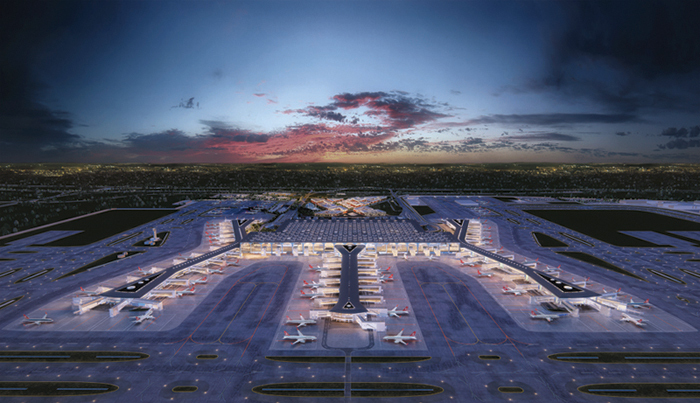 While operations commenced after a soft opening on October 29 last year — coinciding with the 95th anniversary of Turkey’s establishment as a republic — its current capacity of 90 million passengers is close to nothing compared to its potential capacity for 200 million upon completion. 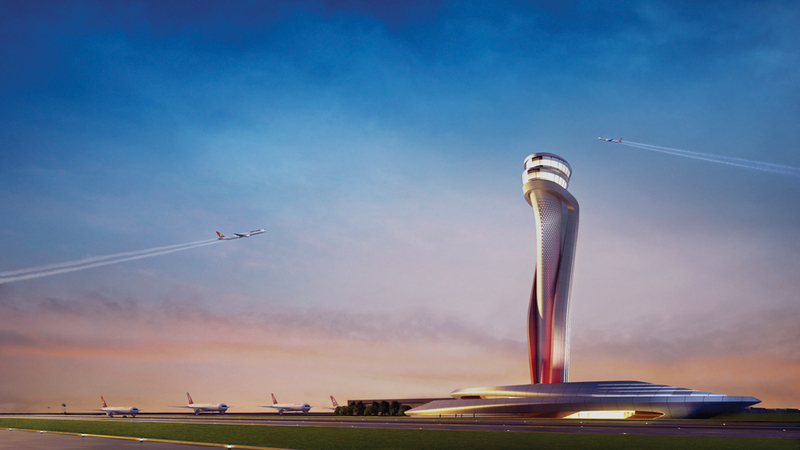 Already acknowledged as the new center for aviation, here are the key reasons why we love it. And by big, we mean it’s world’s largest international airport that has ever been built. Designed to occupy nearly 19,000 acres with six runways, it’s steadfastly towers over its competing travel hubs across the globe. By the time all phases of the airport are complete, it’s expected to serve nearly double the capacity of Hartsfield Jackson International Airport in Atlanta — currently the world’s biggest airport. Despite the size, convenience is of utmost importance. Both domestic and international flights are served under one roof, and they’re joined by nearly everything else you could possibly ask for. Essentials aside — cue waiting area, over 62,000 parking slots and more — expect numerous cafes and restaurants serving food from Turkish and international cuisines. There will even be tailors, shoe shine services, hair salons, barber shops and a masjid within the airport. For those with laundry worries, head over to the dry cleaning store in the airport’s greeter’s hall. If walking up and down the massive building has got the better of your shoes, there is a shoe repair service by the check-in area. Not only is it mindblowingly gigantic, but Istanbul Airport also goes out of its way to make life easier for its many passengers. Bringing together groundbreaking technology from the world’s biggest IT companies and the best of Turkish engineering, the building serves as both airport and the biggest IT project in Turkey’s history. Electric buggies take you around the airport, while an application helps you arrange everything from how long it takes to get from your house to the check-in counter, to how you go about getting there. Asides from the expected modern facilities and unparalleled connectivity, Istanbul Airport shines through impeccable security systems, with over 20,000 surveillance cameras — which can both recognise dangerous faces from police databases and alert authorities, as well as alert staff when bags are left unattended. The airport will even have robots acting as both assistants and additional security. Turkey rests on that sweet spot, right at the crossroads of Europe and Asia, making it an ideal destination for an international travel hub. 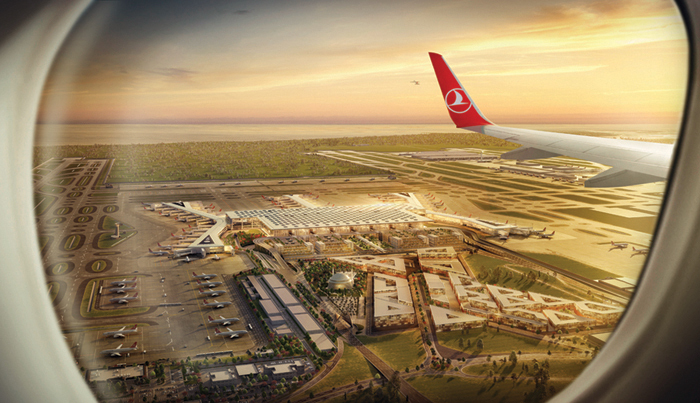 Istanbul Airport was quick to catch on, and maximised its geological advantage with plans to offer flights to over 350 destinations across the globe. While the flight options and quality of service are as global as you can get, the airport’s design styles remain true to its Turkish roots. Interiors are designed to reflect Turkish and Islamic cultures, drawing inspiration from grand mosques, baths, domes and historic structures. The air traffic control tower, designed by AECOM and Pininfarina, resembles a tulip — blooming proudly in the air after the country’s national flower. 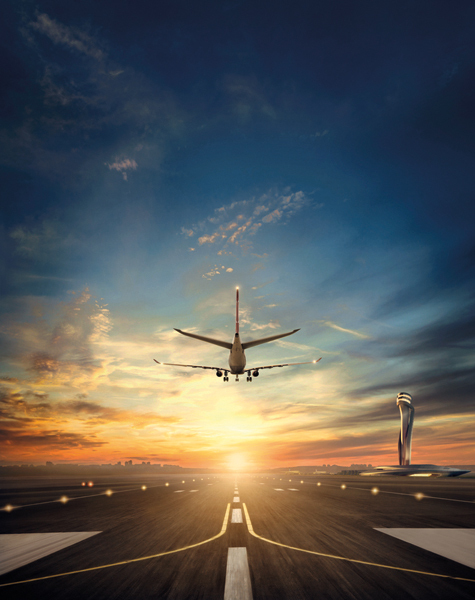 To find out more about Istanbul Airport, visit turkishairlines.com.